Anyone interested in learning more about Golf? 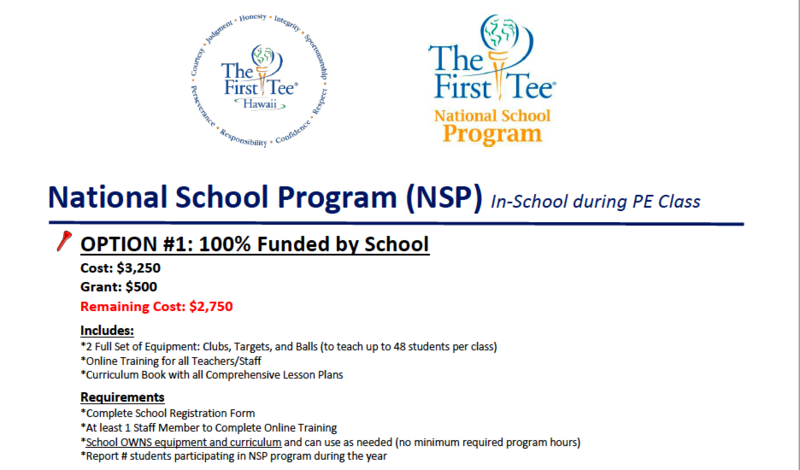 First Tee Hawaii offers grant opportunities with various options. First Tee Hawaii has a corporate sponsor, Farmers Insurance Hawaii that will fund up to 4 schools on the Windward side of Oahu. If anyone is interested, please call Stephen Small, Program Director me with any questions.